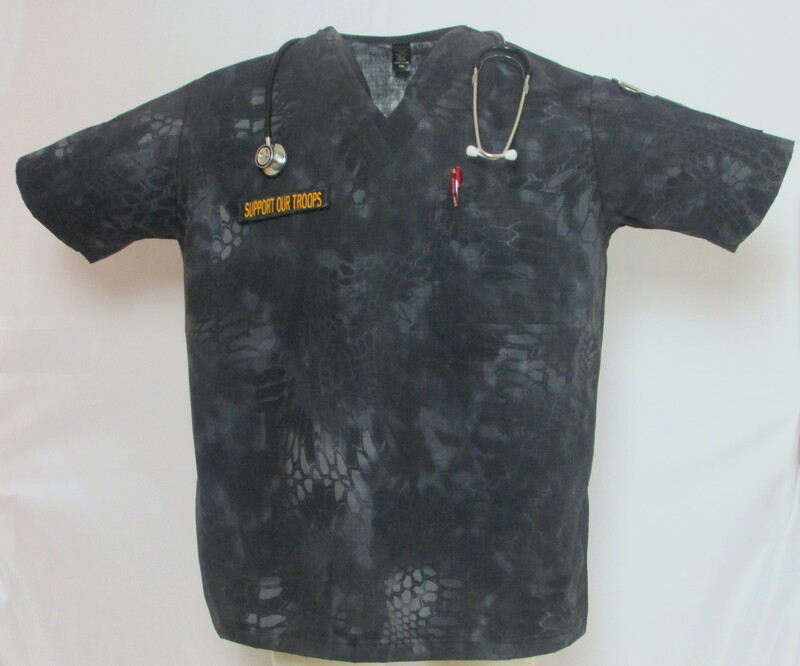 NurseJoe's New Camo Conda Top features : Two Deep Bottom Pockets, One Chest Pocket, and a Pen and Pen Light Pocket on the left sleeve. 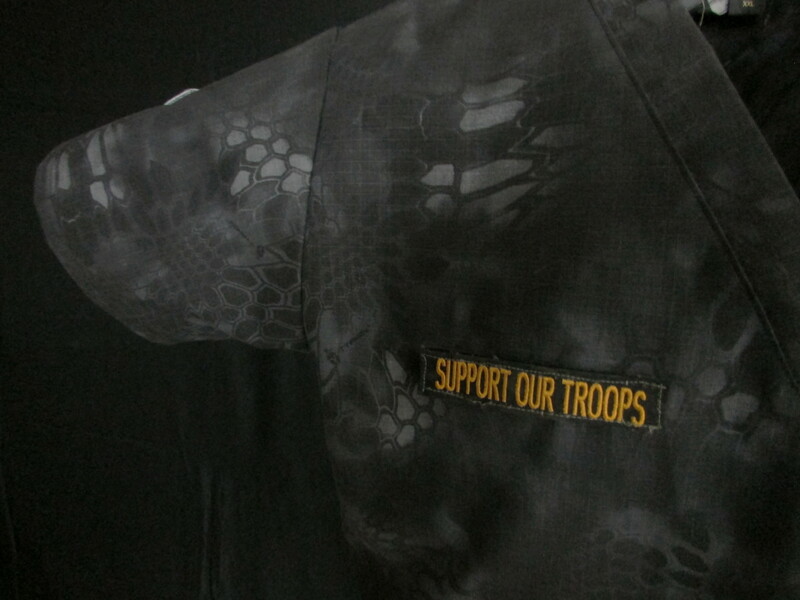 This top is made from a durable rip stop fabric and is constructed with reinforced stitching on stress points and pockets. Matching pants available. 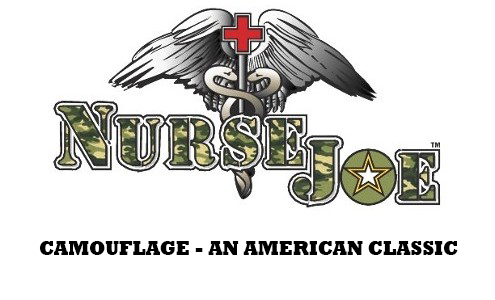 Call / Email 848-250-00/NurseJoe@NurseJoe.com. 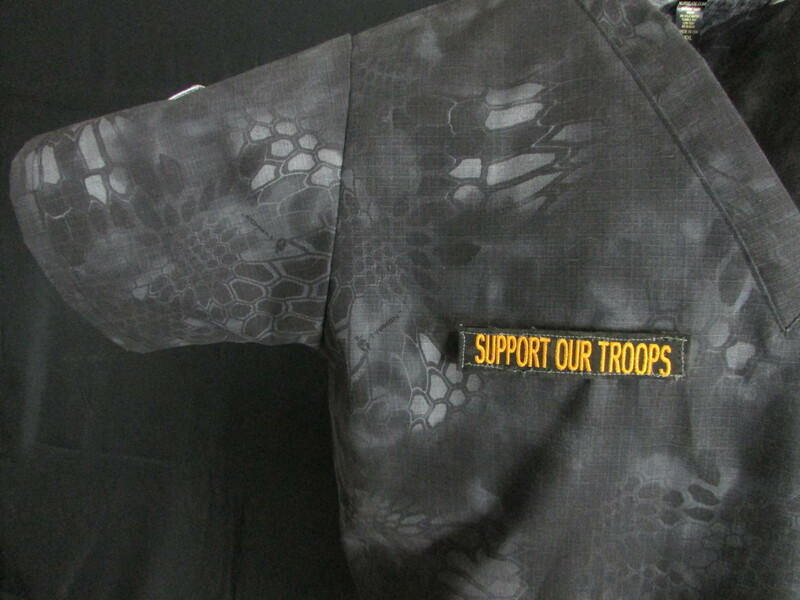 NurseJoe's tailors will make you a pair of matching scrub pants for only $30.